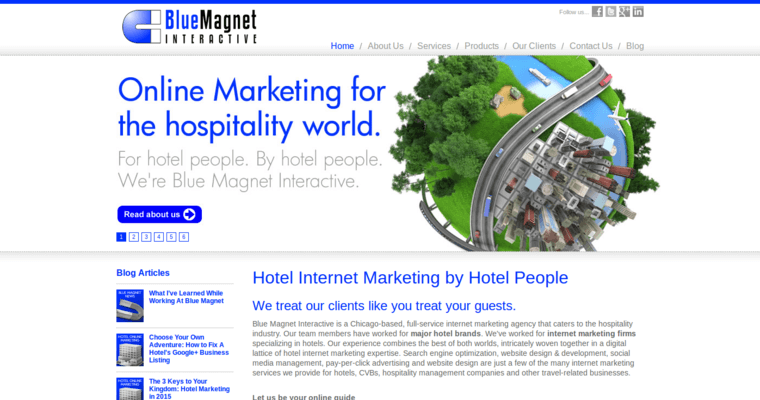 When it comes to marketing your hotel in this day and age, it is becoming increasingly important to have a professional website working behind the scenes for you. People today are turning online to do most of their travel planning. You need to make sure that your hotel can be found when a search is conducted online in your area. 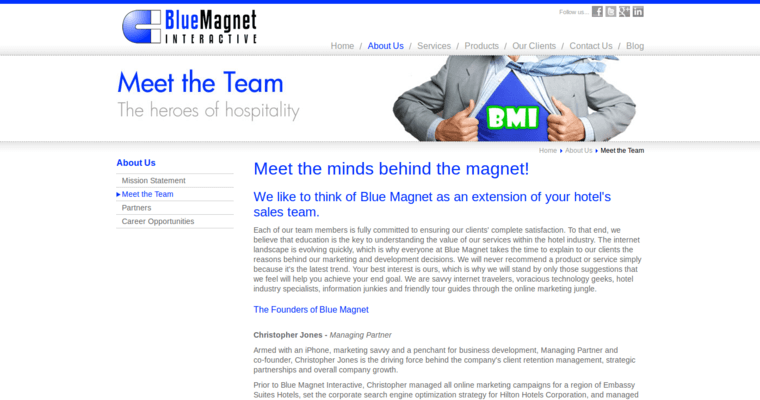 To ensure that you are ready, Blue Magnet Interactive should be consulted. As the best hotel SEO firm in the business today, they will work to get your site optimized so that it will appear higher in the search engine rankings. The closer you can appear to number one, the more likely you are to receive visitors that would have never found you otherwise. This is a way to compete with the corporate giants of the hotel industry. 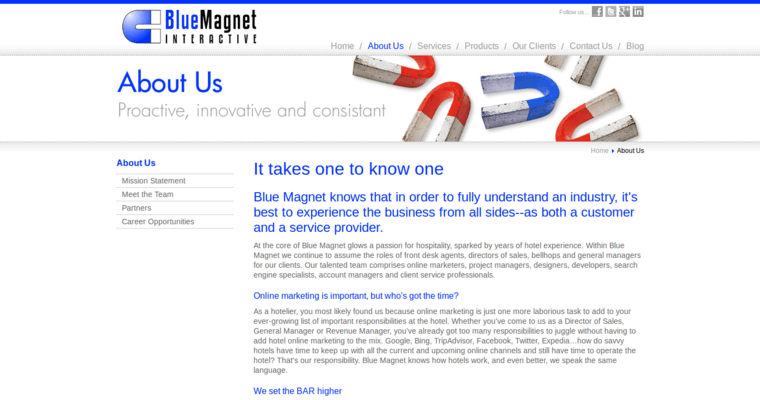 You simply need to get noticed, and Blue Magnet Interactive is here to help.